Now this is the kind of alternate history I’m talking about! A Pennsylvanische scout on the war-torn border with Maryland discovers a madman in the woods. Or maybe a spy? Various members of the Pennsylvanische military have various theories, but all agree the prisoner should be kept under close surveillance, either to cure his delusions or to pump him for information, or even to explore some of his wilder rantings. What if Pennsylvania had radios? What if it had airplanes? 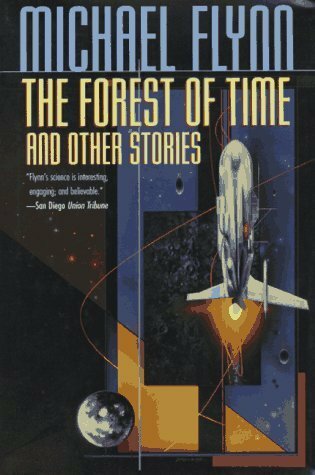 The Forest of Time is exactly the sort of alternate history story I like. An extrapolation of the effects of a change in the history of several centuries ago. By examining how another world turned out the way it did, Flynn throws our own history into relief. And what a relief it is. This entry was posted in Blog and tagged Alternate History, Book Review. Bookmark the permalink.